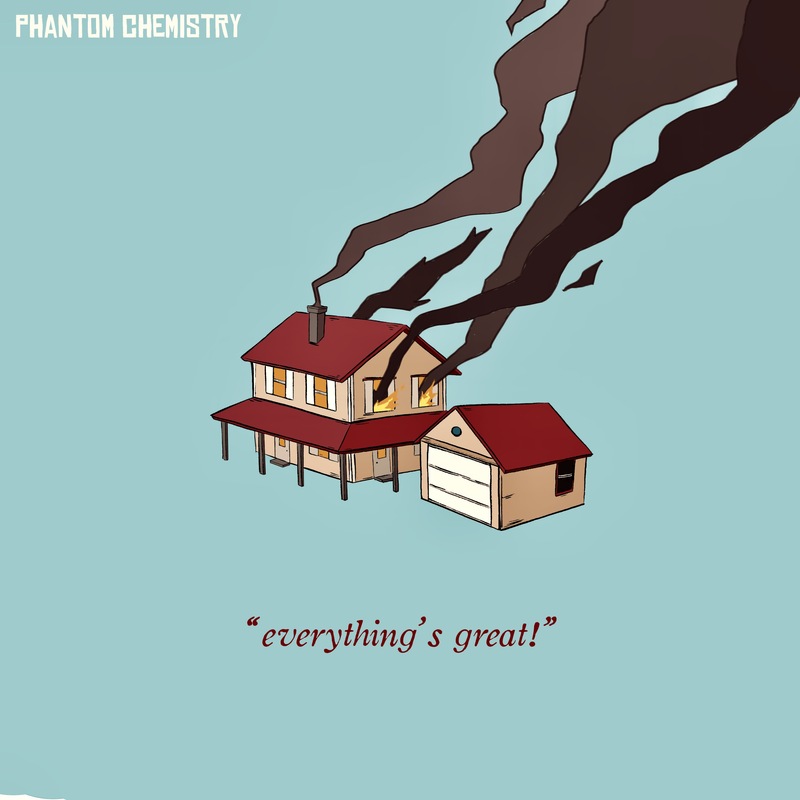 Syracuse rockers Phantom Chemistry are ready to share the good times and bad times tonight. The party to celebrate the release of full-length album No. 4 for the Syracuse rock band unwinds at Funk N Waffles in downtown’s Armory Square. Inclusive Or and Backyard Wrestling will also play. Tickets are $10 at the door. The BettyElm Records release Everything’s Great holds 13 cuts from musicians Mike Burriesci, John Ocasio, Teddy Bratt, P.J. Sweeney and Zack Parsell, and it runs up and down the emotional and soundscape ladder. From the crunchy start of Dream in the Dark with its lyrical hooks about staring at the stars, showing cards and dropping guards to the dreaming epic closing cut Come Watch TV with a surfing acoustic guitar, Phantom Chemistry presents a cascade of moods, a rollercoaster of pace and passion. There’s an overall sadness to the lyrics, yes, little failures of self in Get Out of My Car or love in Shades of Blue. But there’s also the freedom of self-realization in Hospital and You Were the Moon. And you’ve gotta tip your hat to a band that pens and plays Ode to Die Hard, admitting to a sink into the couch to spend time with a smoke and John McLean every time the movie is on the screen. Here’s the Facebook link to the event. Doors open at 8:30. The show starts at 9:30.